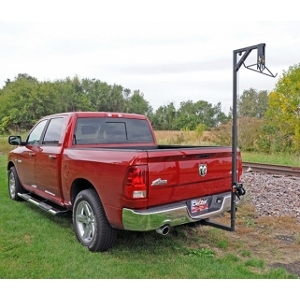 Dee Zee Hitch Game Hanger - Hang and field strip your game with Dee Zee's game hanger/hoist. Steel cables and stays provide a stable platform to ease field dressing. 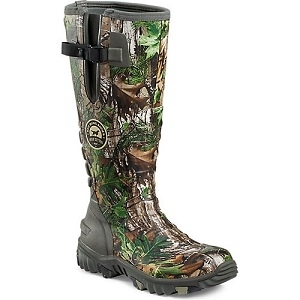 Sturdy steel construction with a protective black powder coat. 300 lb capacity. Attaches to Class III (2") hitches. Steel construction with Matte finish. Sure grip platform and adjustable shooting rail. 300 lb. rate capacity; weighs approximately 51 lbs. 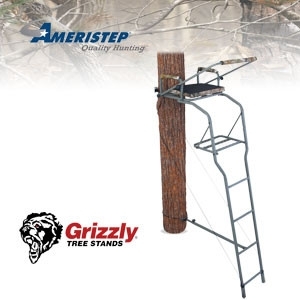 Flip up camouflage shooting rail. Padded seat cushion and arm rests. Seat size 19.5" x 14.5".